Built in California, and launched April 24, 1943, the USS Curb, hull number ARS-21, was a 213 foot Diver-class rescue and salvage ship. Commissioned by the Navy during World War II, she was responsible for towing and assisting damaged vessels and bringing them to a safe port. On December 20, 1946 she was decommissioned in Orange, Texas and in May of 1947 she was loaned to a commercial salvage firm where she also worked as a cable layer. She eventually was returned to the navy and laid up as part of the Reserve Fleet. On April 30, 1981 the Curb was removed from the Naval Register and on February 23, 1982 she was scrapped, prepared for scuttling and was eventually sunk November 23, 1983 as an artificial reef. Sitting off Key West FL, this artificial reef is located at 180 feet in an upright position with her main decks falling between 130 and 160 feet depth. This ship has no moorings or buoys so anchoring on her with a grappling hook is best. You'll also need to consider the current as well, so use the USS Curb GPS coordinates provided below to help locate this Key West diving site. Her depth makes her a technical diving site only, although wreck diving her will not be as strenuous as a dive at the USS Kendrick or USS Fred T Berry. She's also positioned less than 1 mile south of the Cayman Salvage Master. This makes her an excellent first Key West dive trip followed by a somewhat easier advanced second dive at the Cayman Salvage Master (Cayman Salvor). Wreck diving this ship you'll find that she has good penetration opportunities. Her compartments are open and easy to access. Diving into the wreck, scuba divers are able to enter her lower compartments, crew quarters, pilot house, as well as explore her shafts and rudders. Also from her cable laying days, the USS Curb has 3 large winches sitting on her bow which are now encrusted with marine life and are worth a picture or two. Since she is suited only for technical diving, she doesn't receive much scuba diving traffic. An additional perk since she does sit at a shallower depth than the other technical dives sites like the USS Berry or USS Kendrick is that the water isn't as cold. The warmer water is conducive to more varieties and greater numbers of marine life. Combining these two factors means that the vast variety of Florida fish you'll find here are quite friendly and curious, as humans are something of a novelty around this vessel. Of course wreck diving brings it's share of concerns, especially at deeper levels. At this scuba diving Key West site, the currents are extremely variable. You'll find that they'll play a major role in how easy it is to get down to the Curb, as well as how you're able to move around. The currents also affect visibility as does the larger amount of silt that's found here. The silt is a problem due to the wreck's close proximity to the shipping channel and Key West Harbor. The outgoing tide constantly pulls the sediment from the harbor with it and the sediment and silt build up around, over and in the ship. The silt is quite fine, so it easily churns up when divers move or breathe, and it can make navigating around this ship somewhat treacherous. Fishermen also love artificial reefs as they produce some of the best Florida Keys fishing. This wreck is positioned at the perfect depth where lots of game fish, especially big fish like goliath grouper prefer to live. This draws large numbers of sport fishermen, which means the tools of their trade are left behind on the ship's superstructure. This Key West diving site in particular is laced with a large amount of fishing lines, lures, and nets that can quickly catch, snare and tangle even an experienced scuba diver. Wreck diving the USS Curb presents technical divers with a number of challenges they don't often encounter when Florida Keys diving. 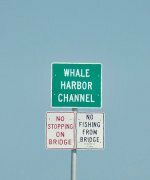 Strong, sometimes impossible currents, limited visibility due to the silt, the greater depth, and the danger of potential entanglement with fishing lines make this a tougher diving Key West site. However, there are some exceptional pluses, which include an amazing variety of colorful marine life, a vessel that has easy access to numerous compartments, and a large assortment of interesting boat equipment to examine. This wreck's close proximity to Key West FL and the Cayman Salvage Master is a big perk. The fact that the USS Curb is less visited, makes it an excellent choice for technical divers looking for a different brand of diving adventure.